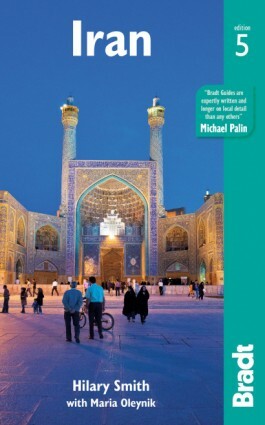 Bradt Travel Guides is offering Adventure Associates customers a special 20% discount on copies of IRAN. 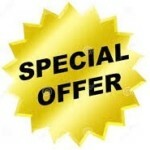 To claim your discount, please purchase via the Bradt website (www.bradtguides.com) and enter code ADVENTURE20 at checkout. Now into its fifth edition, Bradt’s Iran continues to provide the most detailed background, history and cultural information available when visiting this ‘Jewel of Central Asia’. This new edition has been thoroughly reviewed to provide all the latest information, from updated history and cultural developments to security, language and hotel prices, plus expanded practical information for independent travellers. Food and arts, rugs and handicrafts are all covered, plus new details of skiing in Iran and recommended Iranian movies. For outdoor enthusiasts, swimming and desert and eco-tours are also included. With new direct flights to Iran now available from Europe, and a warm-hearted and welcoming people eager to meet tourists, visiting this intriguing country has never been easier. Iran’s cities are packed with gilded mosques and blue-mosaic shrines built in honour of the country’s greatest leaders. Its people are generous and its terrain ranges from the sands of the Persian Gulf to the Alborz Mountains in the north. The expert authors give first-hand descriptions of attractions ranging from the exquisite mosques of Esfahan and the museums and palaces of Tehran to remote, spectacular mountain hikes. New maps and up-to-date information on all the basics – hotels, restaurants, businesses and shops – help you to uncover the mysteries of ancient Persepolis, to enjoy a soak and scrub in a local hamam, or to pick up a pair of giveh slippers or a Persian rug in Kirman’s bazaar. Thoroughly updated, this new edition also includes new details of ‘Around Tehran’, caravanserai, Nishapur, Qaleh Rudkhan and Kurdish villages on the Silk Road Trail, plus new maps of the historic bazaars of Esfahan, Yazd, Kerman and Shiraz. It has been updated by Middle East expert Maria Oleynik, who is fluent in ten languages, including Persian and Arabic. Hilary Smith MPhil, who took over the update of the third edition, is an independent lecturer and guide with wide-ranging interests focusing particularly on the cultural history of central Asia and the Indian subcontinent. She first visited Iran in 1976 and has been returning regularly ever since. Having studied Persian in Esfahan, Maria Oleynik updated the 4th edition of the Bradt guide to Iran and has returned to work on the 5th edition. Iranologist at heart, since her first trip to Iran she has become deeply consumed by everything Iran-related and returns to the ’empire of her heart’ at least once a year on research trips and holidays. Maria has numerous professional connections and friends in Iran as well as among the Iranian community abroad. While living in Denmark she has been an active – and the only non-Iranian – member of the Danish-Iranian Literature Group.